Just like in Nairobi, most commuters in Munich, Germany, spend hours stuck in traffic or trying to squeeze into one of the overcrowded subway trains every morning. But for 40-year-old Benjamin David, commuting is a relaxing experience. 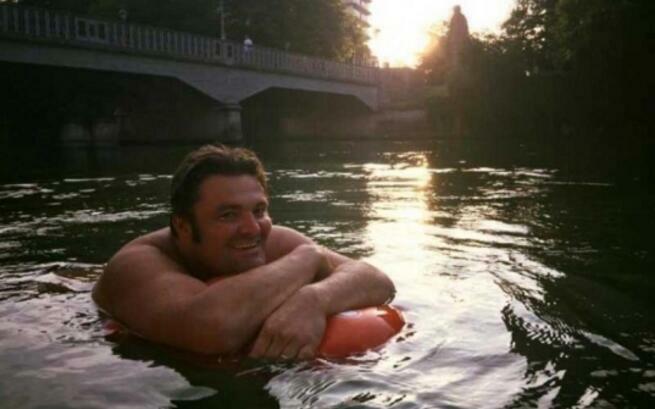 Every day, he jumps into the Isar River and swims two kilometres to his workplace in Kulturstrand. Benjamin David used to be one of the thousands of Münchners trying to make their way to work on busy roads and cycling paths, but two years ago he decided that he needed to find a simpler alternative and the Isar River seemed like the obvious answer. It flows right past his apartment in Baldeplatz, and, even though no one has been using it for traveling purposes in decades, it used to be the best way to get around. People travelled up and down the Isar using rafts, and, at one point, it was one of the most popular routes between Rome and Vienna. But instead of paddling on a raft, Benjamin decided to swim to work instead, and that's been his main commute for the past two years. Once there, he dries himself with a towel, puts on a t-shirt and waits for his colleagues to get through the heavy traffic, by enjoying a cappuccino at a cafe.